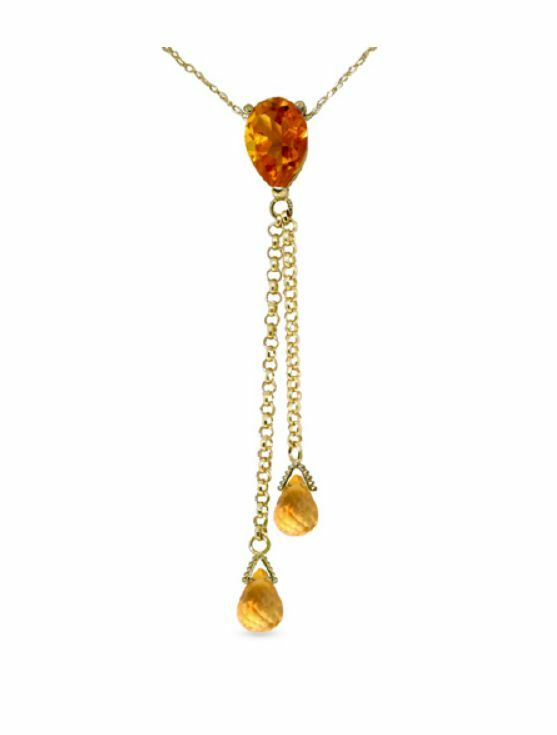 This lovely and beautiful Citrine Pear Briolette Double Drop Pendant is expertly crafted in 14K Yellow Gold. A beautiful elegant piece. 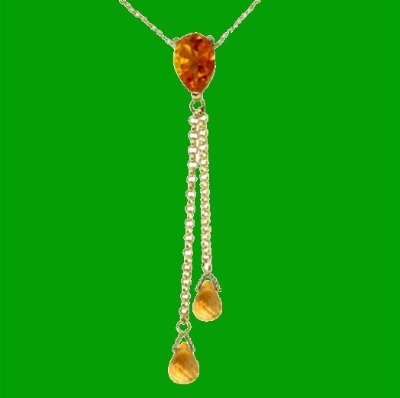 Pretty, enjoy this Citrine Pear Briolette Pendant. 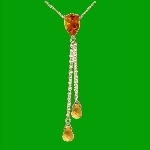 Each pendant features One (1) Pear Genuine Citrine Gemstone measuring 9.00mm x 6.00mm, Two (2) Briolette Genuine Citrine Gemstones measuring 6.00mm x 4.00mm. The gold metal weight of this pendant is 1.90 grams. The stone weight of the Citrines is 3.75 carats.